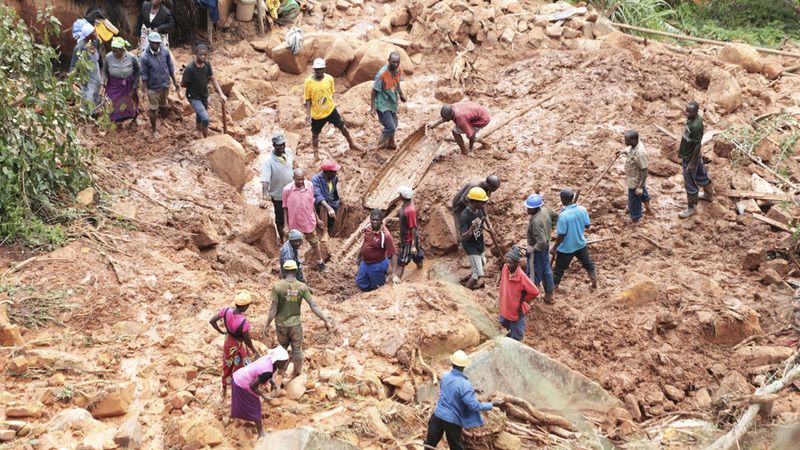 Geneva, Switzerland – At least half a million Mozambicans have been displaced by cyclone Idai, but that figure may rise to four times that in the aftermath of the devastation, United Nations officials warned on Tuesday. The World Food Programme (WFP), UNICEF, and other UN agencies launched an appeal for immediate international funding and logistical support to save hundreds of thousands who remain isolated and with no access to food or clean water in Mozambique, Zimbabwe and Malawi. A WFP staff member, who flew over the area inundated since the weekend when two swollen rivers burst their banks, spoke of “inland oceans extending for miles and miles in all directions”. Addressing reporters in Geneva, Castro said assessing the extent of the damage and needs is a huge challenge given the poor weather conditions, the limited access to the areas hit by the cyclone and the complete power and telecommunications blackouts. Castro said the UN has suggested that the government of Mozambique ask South Africa to help create an air bridge in order to reach the most isolated areas, where people have lost everything. UNICEF launched an appeal on Tuesday for $20.3m to support the response in the three countries. The WFP said an MI-8 transport helicopter had started airlifts on Tuesday, with two more aircraft scheduled to arrive before the end of the week. On Tuesday WFP airlifts dropped high-energy biscuits, water and blankets to people crammed on rooftops and elevated patches of land outside Beira. Negotiations by the WFP to bring to Beira two freight aircraft, including a Hercules C-130, are at an advanced stage, Verhoosel said. While the agency’s warehouse in Beira was badly damaged by the cyclone, some food remained intact. From that stock, WFP staff who were in the city prior to the cyclone, continued to provide easy-to-prepare fortified food to thousands displaced who found shelter in 18 schools and churches in the area. Heavy rainfall is projected to continue in Sofala and Manica provinces from March 19 to 21. With heavy rain continuing and forecast to persist for days, concern is growing about further flooding as rising water makes its way down Mozambique’s main river systems. Alerts have been issued regarding the risk of flooding in the Buzi, Pungoe and Save river basins in the next 72 hours, which could lead to further destruction and potential loss of life. The Buzi river has already burst its banks killing hundreds.